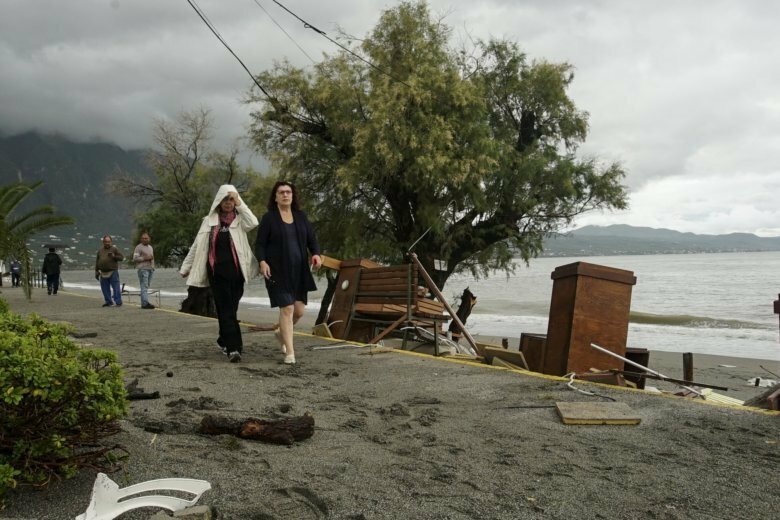 ATHENS, Greece (AP) — Greek authorities are looking for three missing people on a Greek island after a rare and powerful Mediterranean storm dumped heavy rain on the region. The storm has been moving slowly in a northeasterly direction, affecting Aegean Sea islands as well as Greece’s central mainland. It is expected to hit parts of northern and northeast Greece later in the day. General secretary for Civil Protection Yiannis Tafyllis told reporters Sunday that the hardest-hit areas so far have been around the cities of Corinth and Argos in the Peloponnese peninsula, which was hit by the storm Saturday, and the northern part of the island of Evia, off central Greece, where the three people went missing Sunday. The storm also flooded roads in Athens and forced evacuations from the Peloponnese seaside village of Nea Kios.